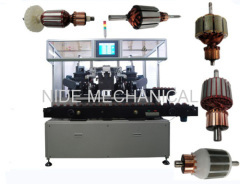 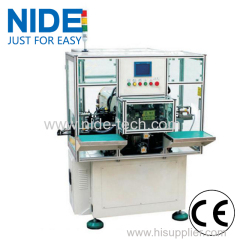 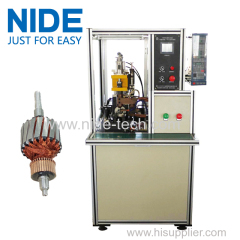 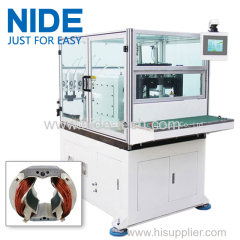 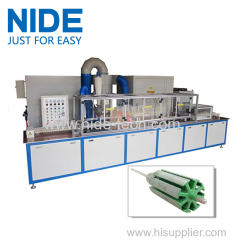 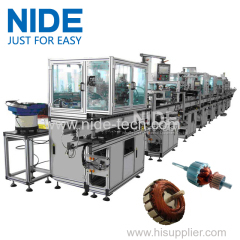 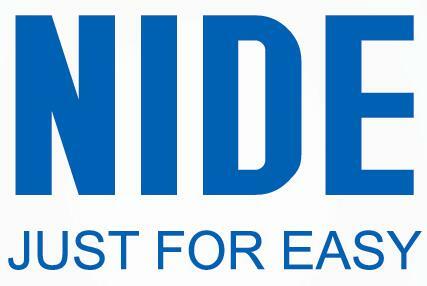 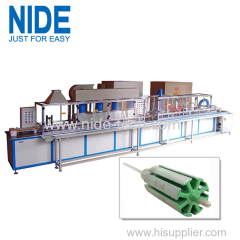 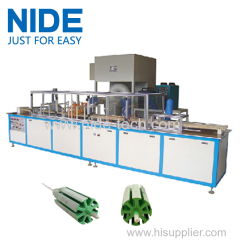 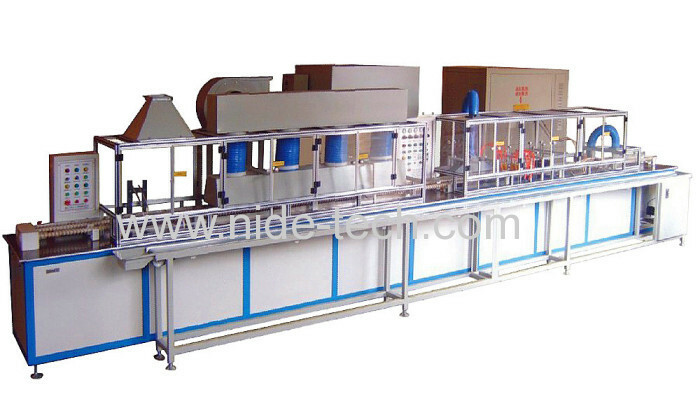 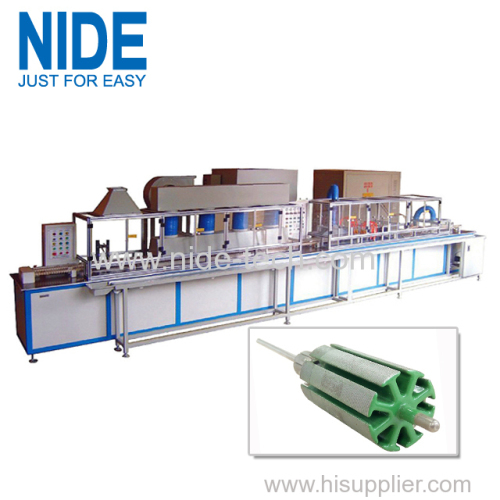 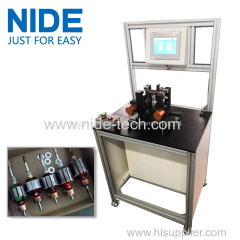 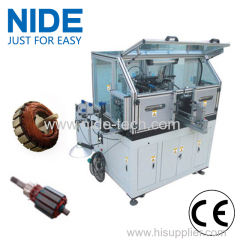 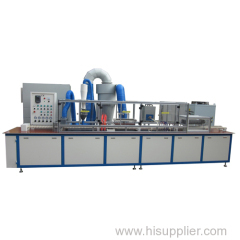 AUTOMATIC MINI ROTOR POWDER COATING MACHINE from China manufacturer - Ningbo Nide Mechanical Equipment Co., Ltd. 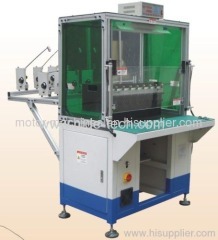 The series of Powder Coating Machine is the most technical advanced product in electrostatic coating field, which is widely used in mini rotor insulating coating, such as automotive, motorcycle, power cycle,toy and small electromotor of appliance. 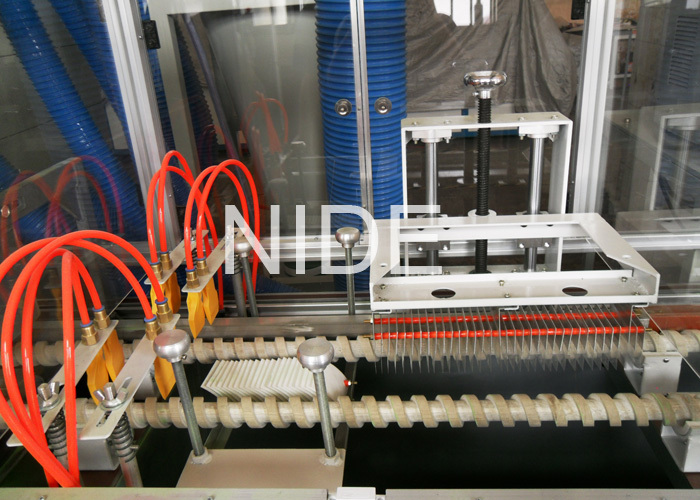 Small motor is transported to fluid bed by screw for coating. 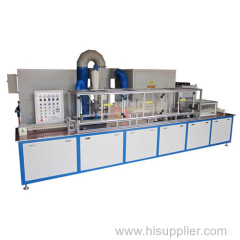 Insulation power is equally coated on its surface, then cured by high frequency heating.The Powder Coating Machine consists of coating, curing, cooling and powder recycling, except loading and unloading, the other process are completed automatically.